This week I want to highlight a few of the records that may have slipped through the cracks as they have come out around other high profile releases this year. All of these records are lo-fi projects fronted by an outstanding female vocalist. 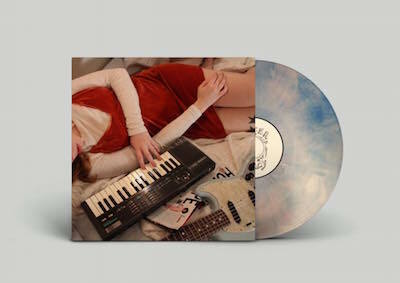 Sophie Allison is the force behind Soccer Mommy. She has been a prominent member of the Bandcamp revolution. Her songs are appropriately intimate for bedroom pop. What really shines here is the play between Allison’s voice and the detailed intricacies of her lyrics. There is a sublime sadness to her tone that magnifies the overall impact of the work. This record is a great example of the way that the internet has opened space for performers who might not have fit previous distribution models. Allison performs heartbreakingly intimate songs for an audience that is keyed into exactly what she is working to relate. Check out the video for the track “Allison” below. Girl Ray is the London based trio of Poppy Hankin, Iris McConnell and Sophie Moss. I absolutely love this record. It has a bit of the baroque feel of something like Belle and Sebastian with a generous playfulness and brashness that is immediately endearing. This album is bold and experimental and it pays off. I have seen critics describe this record as twee but it is so much more than that. Check out the video for the single “Preacher” below. This record is a bit larger than the other two on this list. Marela skirts the electropop line with a fair bit of kinship to acts like Chvrches. Like the other two records on this list the songs here deal with the beginnings and endings of relationships. The production of the record wanders anxiously in much the same way as the lyrics. This has become a go to record for me in the car, there is something wonderful about letting these compositions wash over you. Check out the “Quit” below. Tonight Royal Teeth is playing at Tips. Tomorrow night Lil Wayne and Gucci Mane will be at Champions Square and Alvin Youngblood Hart will be at the Ace Hotel. The Free Friday show at Tips is John “Papa” Gros with the outstanding Sexual Thunder. Saturday the New Orleans Suspects are at the Maple Leaf. Sunday Bonerama are at Tips and the Death Valley Girls are at Poor Boys. Wednesday you can catch Social Distortion at the House of Blues.